All classes are open to the public and the first trial class is FREE! Please call or email us before you come. Since the opening of our school in 1972, the objective of J. R. Roy Martial Arts has been to combine excellent instruction with diligent practice. At JRRMAS, we seek to refine martial arts traditions with regular, mindful practice that evolves the art. Sifu (Master) Roy, a member of the Martial Arts World Hall of Fame with 45+ years of full time practice and teaching of five different martial arts strives to empower the local community by training strong individuals for the future. His years of experience and various teachers has created a program with something for everyone. Youth students (ages 7-13) start at JRRMAS with a firm foundation in our American Karate System (AKS). Girls and boys of all backgrounds are welcome. We cultivate in our students a sense of respect and discipline. Techniques in AKS include classical and modern kicking and punching in addition to self defense, which includes a fusion of techniques selected from the best of Sifu Roy’s martial arts system. Come see for yourself an adult or youth class. Once trained in Karate, we encourage students to pursue Modern Arnis and then the other more internal arts like T’ai Chi Chuan, Qigong, and I Ch’uan. 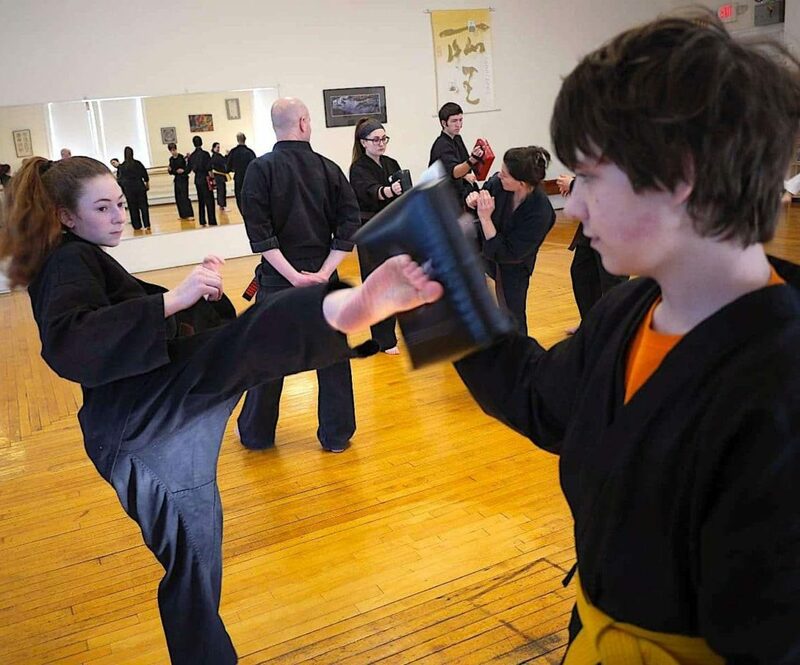 Adults (ages 14+) entering the studio are welcome to begin their training with the art and program that best suits their needs: Adult Karate, Modern Arnis, or Tai Chi/Qigong. Karate provides a strong foundation in martial arts and is the most physically demanding of the arts we teach. 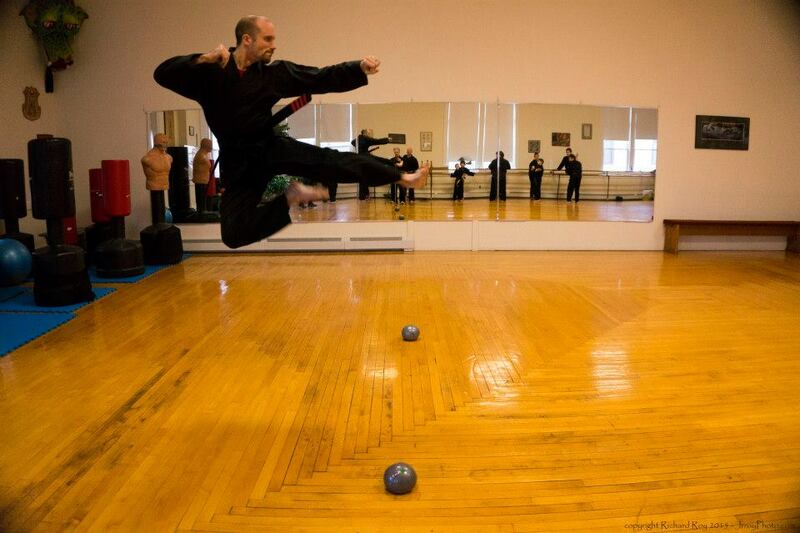 These classes are designed for any level of martial arts experience. Arnis specializes in 30” canes made of rattan. Striking styles with the sticks are mixed with a fascinating variety of Filipino Jujitsu, joint locks, disarms and takedowns along with many empty hand drills. The other weapons practices that we teach at JRRMAS are from Master T. T. Liang’s, T’ai Chi lineage. Sifu Roy recommends daily practice of the T’ai Chi Chuan solo form for robust health, to help heal injuries and cure illness. Sifu uses the TCC solo form, along with various Qigongs and I Ch’uan meditation as part of his daily health maintenance. Through diligent study and practice over the past 45+ years, he has developed a recipe for longevity. 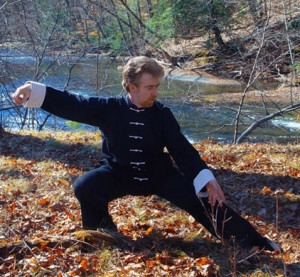 He also understands and demonstrates the martial power hidden in Tai Chi and Bagua Zhang‘s graceful, healing moves. 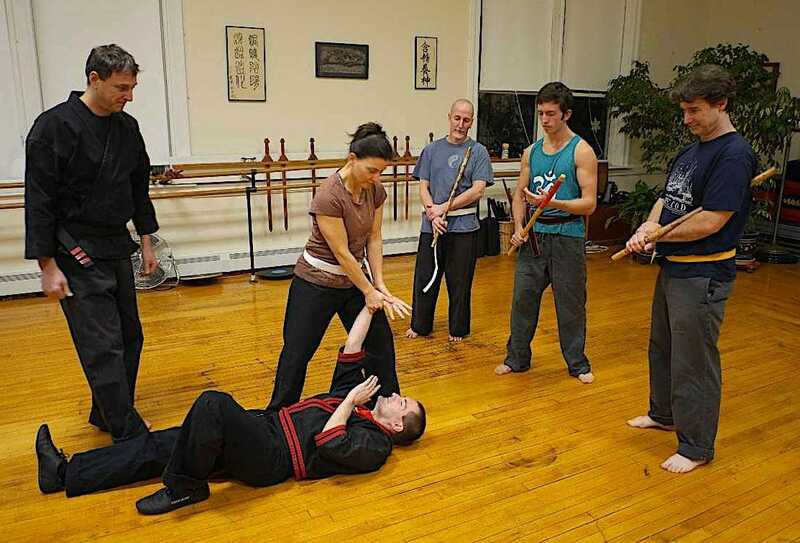 Through the solo form, weapons forms, and partner drills we explore the subtle differences between self defense applications and healing movements. Qigong and I Ch’uan (Standing meditation) is a vital part of every Tai Chi class. Sifu Roy and his instructors emphasize meditation from the beginning of every student’s training. 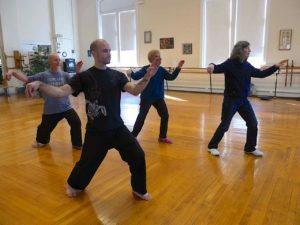 Visit a class to understand and put into practice the inherent purpose in T’ai Chi’s fluent movements. Experience how martial arts connects the physical, the mental, and the spiritual. Gain strength through relaxation, proper body mechanics, and a focused mind. Achieve maximum effect from your effort. Enjoy greater flexibility, patience, power, health, security, and serenity. See all of our martial arts programs for children and adults. For online registration please visit our Contact page. See our class schedule for class times. Or email Sensei Jeff Chaisson right now: JrroyMartialArts@gmail.com.